The Belize Jungle Dome is pleased to announce the completion of the newest accommodations on the intimate resorts stunning Jungle surroundings in the heart of the countries adventure district. The Villa has been built utilizing modern techniques such as Solar Hot Water Heating, Rainwater collection and environmentally friendly Waste disposal. Yet none of this detracts from the luxury this Villa provides for its guests. Before you go into the water with the dolphins, the trainers teach you a thing or two about the animals. About their physiology, their behavior and about ways that we can all protect their habitat. You are then taught how to behave in the water with the animals. The 4 dolphins at Spanish Lookout Caye are bottlenose dolphins, bred in captivity & they are all relatively young, about 4 to 6 years old, so they are still learning a lot and don’t always behave perfectly. We booked the "Reef and Ruins" package and had no idea what we were getting into. Turns out that this was the best vacation ever. From the moment we arrived in Belize we felt so welcome. David greeted us at the airport with a big smile and took us on our first adventure, the Belize Zoo. Our seven year old was already having the time of his life. After the zoo David drove us to the Jungle Dome. As we arrived at the Jungle Dome we were greeted by the sounds of howler monkeys and parrots. At that moment we knew that this was going to be some adventure. Karen ,the manager, greeted us at the front gate like we were old friends returning home. Her warmth and friendliness was so comforting. She showed us around the property and brought us to our room. The room was spacious and very clean and it looked out to the pool. There were warm chocolate chip cookies waiting for us. We were ready to see what was next for us. During our stay we visited CheChem Ha and Xunantunich with our English speaking guide Luis. He was very knowledgeable about the Mayan Ruins and surrounding plants. We enjoyed his company and were lucky enough to have him as our guide on two other tours, cave tubing and Tikal. Our son's favorite outing was the zip lining. He enjoyed climbing through the jungle and climbing up to the first platform. If you could see his face coming across the zip line it was worth a millon dollars! The views from Xunantunich and Tikal were spectacular although the ride to Guatamala was a bit bumpy, but worth it. The horse back riding with Kim in the cocoa fields was great, the horses were friendly and easy to ride and the lunch served afterwards was the best. After each day's exciting adventure we went back to the Jungle Dome and took a cool swim in their pool and settled down to a home cooked meal with the other families staying at the Dome. Over dinner we each shared our day's expedition in the wild and talked about how wonderful Belize is. We relaxed in the hammocks after the tasty treats the girls in the kitchen prepared and watched our son play with the local children. Before we know it our "Ruins" part of the trip was over and we were on a small plane heading to San Pedro to experience the "Reef". We first did the snorkeling/manatee watching trip. The water was clear and the snorkeling was good, many interesting fish and coral to see. The BBQ lunch on the beach was delicious and the local tour guides were funny. On day two we went to shark alley and swam with the sharks and sting rays. Then back to the beach for a relaxing afternoon at the hotel. The hotel, Banana Beach, was older, but well kept. The two pools were nice and refreshing and the restaurant served good hot meals in a timely manner. We decided to extend our vacation an extra day on San Pedro so we had an opportunity to drive a golf cart around the town to do some shopping. Unfortunately our trip was about to come to an end. We packed up our belongings, and souvenirs and headed back to the states. It is now 3 months later and we are still talking about this trip. We show our pictures to anyone willing to look at them. It truly was the most amazing experience we have had as a family and the best vacation anyone could ask for. We feel very lucky to have had the chance to do this and look forward to being able to return someday. To everyone who made this trip so great, Karen, David, Luis, kitchen girls, Kim, Miguel, William, and we can't forget Phoebe and Max, a HUGE thank you from the Wilkersons. Thank you so much for the most wonderful adventure we had in Belize at the end of July. The Jungle Dome is a little slice of paradise – it was so warm and cozy; a real home away from home. The amazing adventures of the day contrasted nicely with the relaxed atmosphere at the Dome and you and your colleagues did an fantastic job making us feel comfortable and welcome. I never thought I’d be rappelling 300 feet or hiking out of sink holes or being *this* close to skeletal remains of Mayan sacrifices or zip lining or any of the stuff we did when we stayed there. Friends ask me what was my favorite part and I always answer – surviving!! But really, it was the nights at Jungle Dome, swaying in the hammock after a full supper or lounging in the pool after a strenuous day in the Jungle. Truly, you and your colleagues at the Jungle Dome do a terrific job and we all had a great time! Special thanks to Luis for his excellent guidesmanship (is that a word?) and for putting up with three very difficult travelers. He’s truly a treasure with so much knowledge and respect of the Mayan culture and a great complement to your stellar staff. Thank you for showing us a wonderful time! We enjoyed our visit very much and it had to do with all the work you did to help us. The food, accommodations and pool as well as all the activities were great! We will remember this vacation as one of our best! PS….Even Hurricane Dean was part of our experience! We can now say that we survived a category 5!! I am so glad that Belize was not hurt by this hurricane. Thank you for taking all the precautions and keeping us safe! From horseback riding to kayaking to zip lining (and getting my hair stuck during the zip line), staying at the Jungle Dome never left me a dull moment! Thanks so much for a wonderful stay and especially all the wonderful food. This trip was great and hopefully I will be able to persuade my family to visit Belize soon. We just came back from a week-long stay at the Jungle Dome and have nothing but great things to say about it. 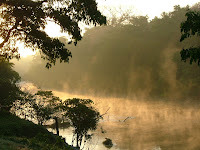 We did the 8-day adventure, which pretty much covered all the most popular land activities (e.g., Tikal, Caracol, ATM, cave tubing, zip line, etc.). Overall, our stay was simply amazing. When thinking about the jungle dome, you really have to separate it into two parts (i) the lodging and accommodations and (ii) the tour arrangements. It excels on both parts..........Read More from our Recent Guests on Trip Advisor. Click Here. Had a great three days here and felt at home immediately. Great adventures, very welcoming and friendly staff with great food and service! I loved the Belize jungle and might consider staying! As we prepare to depart this splendid and amazing jungle spot we must take a moment to quickly say how perfect it was in every way. From one adventure to the next, the people we met were the very best. We loved the furry & friendly pets, Max & Phoebe you are the best footballers I have ever met! Hooray Hooray!! We are off to get married in San Pedro today! the tourist stuff. It's a beautiful little paradise. Not even a paved road where you're going. We loved our room, super clean and pretty. One of the other really unique things about the Jungle Dome is that you eat breakfast and dinner with the other travelers and it's really fun to get to know everyone and hear about their trips. We did the "Reefs and Ruins" tour. Our first day was so neat as we climbed into the jungle to go to the Che Chem Ha cave. William was an excellent guide and his wife cooks a fabulous lunch! We then went with Luis (another guide) to the Xunantunich Ruins. Luis was knowledgeable and very helpful and loves to take pictures for you. We loved the ruins, just beautiful! line the next day. Super fun!!!! We wished the zip lines were longer! Cave tubing was amazing and Luis knows his stuff. That day was my friends favorite! I couldn't decide because I loved them all. there and there's tons of it. Karen runs the Jungle Dome so well and is so fun to be around! We even got to meet Simone, Andy and the boys. Such nice people! We snorkeled in San Pedro and it was so neat. I was scared of the sharks at first, but they are pretty shy of the people and don't bother with you. Tons of fish! San Pedro was our least favorite part of the trip. Very touristy! In hind-sight (at least for me) I would have stayed the whole time at the Jungle Dome. I would HIGHLY recommend staying at the Jungle Dome. We were so well taken care of there! You won't regret it! You'll love it, just like the rest of us whom have stayed there!!! In fact, I'm already talking my husband into going with me this time so I can go back again! This is a fabulous vacation for anyone who likes to be active and be away from the mainstream!" 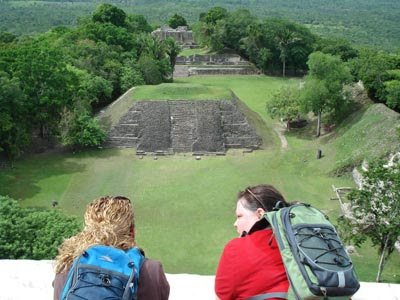 Nicole Hill (Mapleton, Utah, USA) and Treva Jarvis (Omaha, Nebraska, USA) who visited Belize in August 2007. 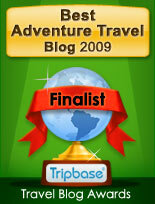 Our Belize Image Gallery has over 840 pictures of trips to Belize with over 577,000 views. 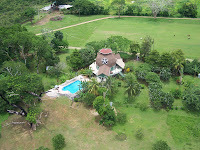 These include the popular Belize Guest Book Image Gallery, plus our most viewed pictures and our top rated photos.